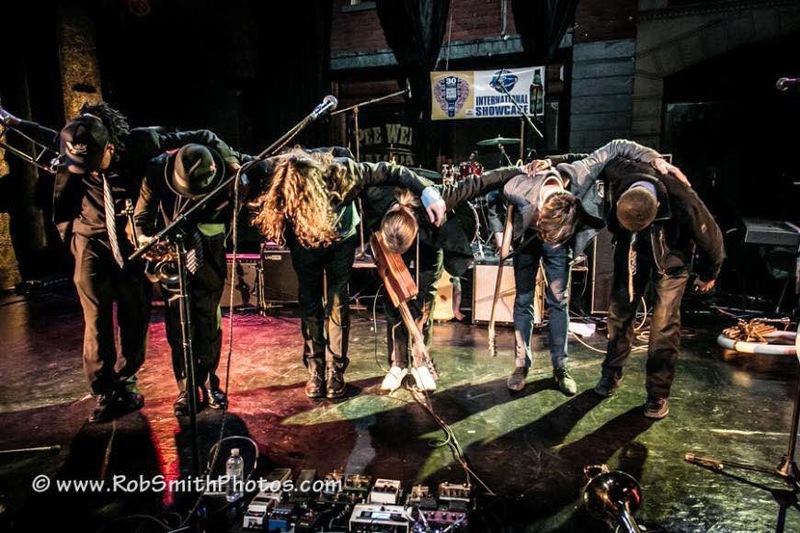 Over the past few years, Memphis' Ghost Town Blues Band has received a lot of attention for their memorable live shows, which usually lead off with a Second Line entrance, and a couple of impressive appearances at the IBC, where they made the finals two years in a row, finishing 2nd in 2014. 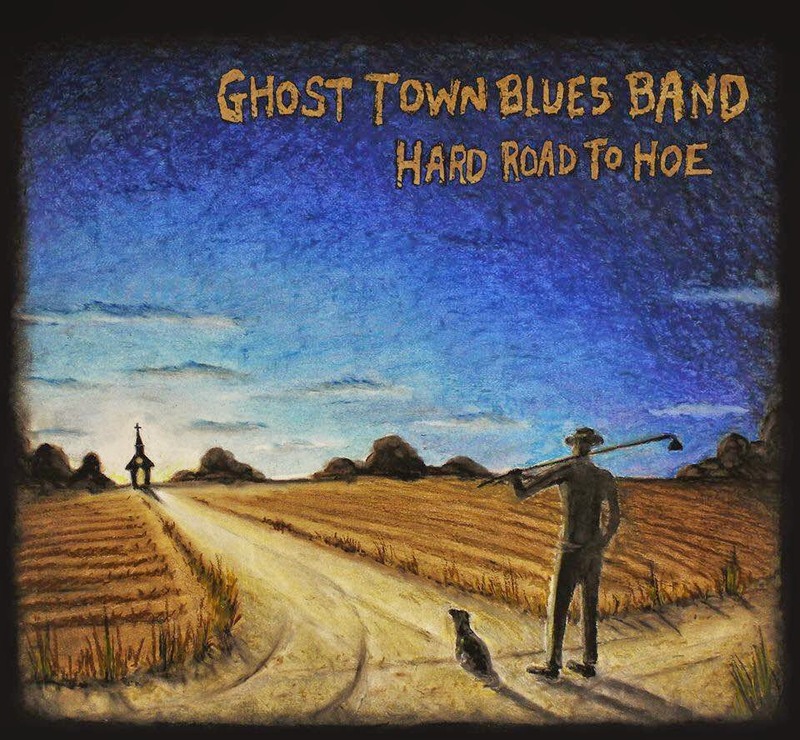 GTBB has released three excellent recordings as well, including their latest, Hard Road to Hoe. I can't imagine a blues fan not liking this disc. The songs are great and the music is wonderful. 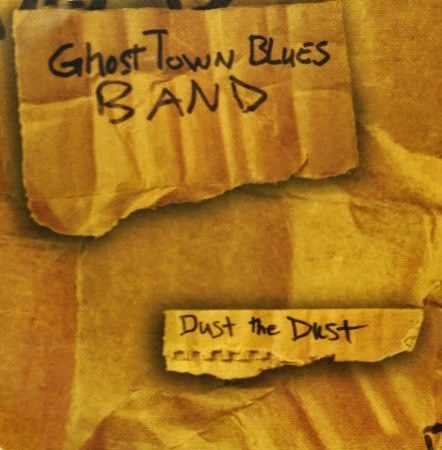 You get one track (the title cut) with instrumentation including a shovel and a broom, a couple of tracks featuring Memphis harp man Brandon Santini, one of which also features "backing vocals" from a dog ("My Doggy"), and other tracks that mix blues, blues rock, roots, Southern rock, country blues, and Hill Country blues, but the album is Memphis at it's core. There is never a dull moment on this recording and it will definitely make you want to go see this band perform live. 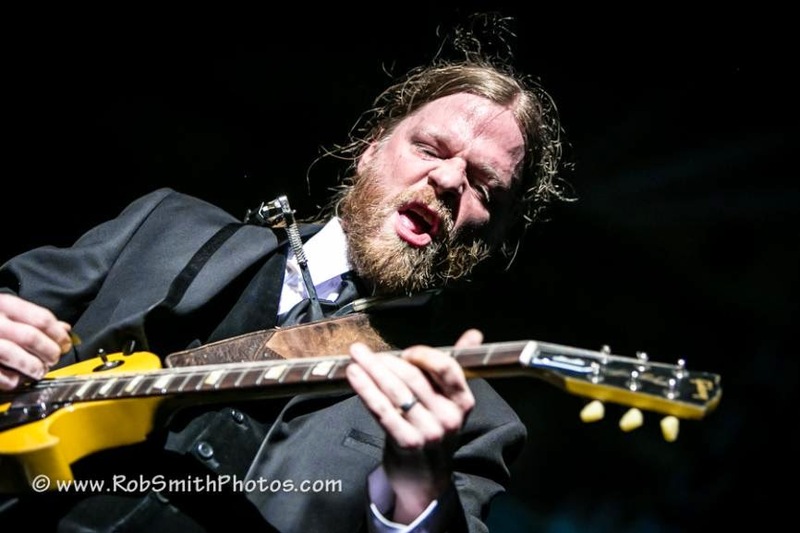 Matt Isbell is the driving force behind GTBB, providing guitar and vocals and producing the albums (along with GTBB drummer/vocalist/broom-master Preston McEwen and Grammy-nominated engineer and producer Kevin Houston). Isbell's "side job" draws almost as much interest as his band gig. 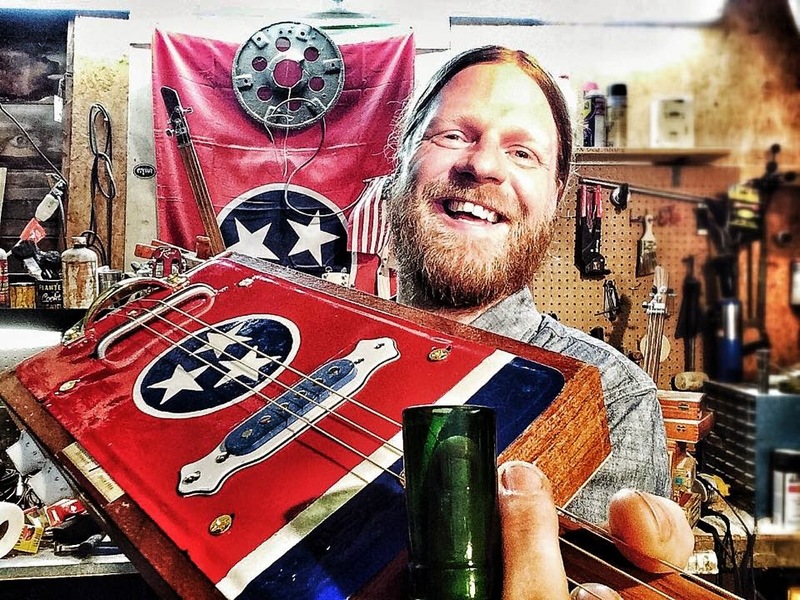 He creates cigar box guitars (check out Memphis Guitar Box), and recently was the subject of an interesting short film that focuses on the construction of these wonderful instruments (Once There Was A Cigar Box). 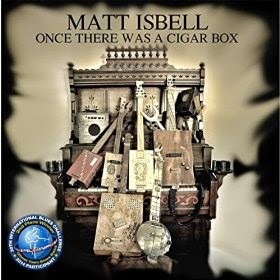 A couple of years ago, my brother started making cigar box guitars and he was the first one to actually tell me about Isbell, showing me some pictures of some of the guitars he'd made, then telling me about Ghost Town Blues Band and linking me to a few tracks online. I always try to keep loyal FBF visitors informed about great new releases. Trust me when I say that listening to Hard Road to Hoe will definitely make you want to know more about this band and will probably lead you to head over to Memphis Cigar Box to check out some of Isbell's craftsmanship as well. However, before you do that, take a few minutes to see what Mr. Isbell had to say when he sat down with FBF for Ten Questions. We thank him for taking the time to do so. Friday Blues Fix: What drove you to be a musician? Matt Isbell: I don't have any music in my family but we went to church every week and I always looked forward to singing along with the choir. I usually fell asleep in the pew but as soon as that organ started blasting, I jumped right up and sang along! FBF: What kind of music did you grew up listening to? MI: I didn't listen to a whole lot of music when I was young but my parents insisted on me taking piano lessons. The place where I took piano lessons had an old guitar sitting in the corner and I couldn't help but stare at that thing and daydream of how cool it would be to actually play guitar instead of this mean old piano that I couldn't get to play what I was hearing in my head. FBF: How old were you when you first started listening to the Blues? Who were the first Blues artists you listened to? MI: When I was about 13 years old my brother got a Jimmy Reed record and wore that thing out... He also had a few Grateful Dead and Pink Floyd records that never stopped playing. Over the years, I started to realize that bands like these were just ripping off blues artist from the past and that's how I began to become more interested in the Blues. 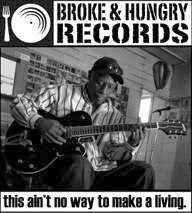 When I was a little older, I got a job at a record label in Memphis called Inside Sounds and that's where I learned about Jesse Mae Hemphill and RL Burnside. 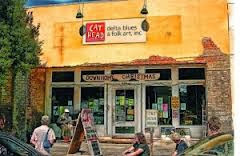 From that point on I've been a huge fan of North Mississippi Hill Country music! FBF: Who are some of the musicians/songwriters that influence your music? MI: My favorite song writer of all time is Todd Snider! He's a folk musician with a great knack for whimsical writing. When I was a kid I used his songs for an outline and then things began to grow from there. When I heard his first record, I said to myself, "That's what I want to do," and I started writing songs every day. They might've all been terrible back then but I'd rather be doing it myself than watching someone else. 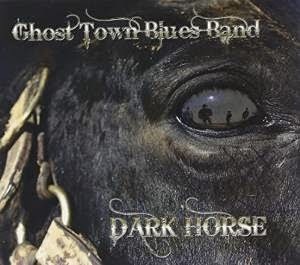 FBF: Ghost Town Blues Band made the finals at the IBC twice, finishing in 2nd place in 2014.....can you describe the general atmosphere of the IBC for those who have never attended? MI: On the first day you can always feel the nerves and excitement in the air! Beale Street is hoppin' with music everywhere. See, we are from Memphis and we get to see Beale Street on a daily basis. IBC is kind of like when the groundhog pokes his head out for the first time and you know winter is coming to an end on Beale. There's a lot of guys that come to town with a competitive vibe who you know are going to go home disappointed. The nature of the event is that you come to Memphis with the anticipation of making contacts and making a good impression and the rest will follow. I feel like a lot of people set themselves up for disaster when they think they are gonna win. I've been lucky enough to attend the IBC many times before we actually made it into the challenge. It's a giant blues showcase, not a competition! I think that might be the reason that we got second place in 2014. We didn't show up with a winning attitude, we just played our show and met as many people as we could! FBF: What did the band decide to do differently on Hard Road to Hoe compared to your previous releases? FBF: Can you describe your songwriting process? How long does it take you to put a song together? Can you tell us about how some of the songs on Hard Road to Hoe developed? 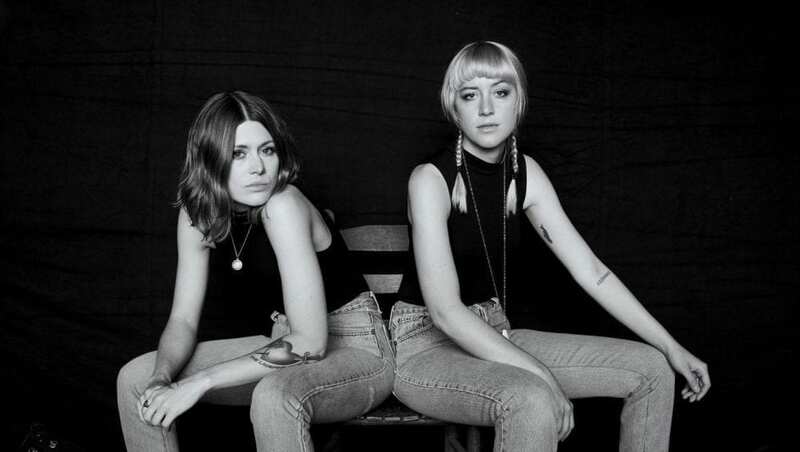 MI: My songwriting process used to involve a bottle of whiskey and two packs of cigarettes... Some of my songs write themselves in a matter of minutes and other songs take a little bit of craft. "Tied My Worries to a Stone" was a song that wrote itself because it was autobiographical….same with the titletrack. “Big Shirley” came from a joke going around at the Rum Boogie Cafe on Beale and I just happened to capture the magic! A good song is just a slice of life put to a beat with a melody that you can whistle. I feel like we have a few of those on this record. 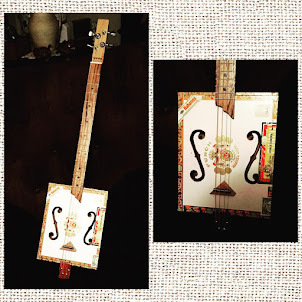 FBF: How did you get into making cigar box guitars? MI: The cigar box guitars kind of come from my interest in the Hill Country music from North Mississippi. I made one because I needed a backup guitar. I let a friend borrow it, so I made another. Now, I have made over 280 guitars out of cigar boxes, my grandmother's silverware chest, old gas cans and pretty much anything that isn't nailed to the ground. I don't watch TV and I've always like to keep myself busy, so cigar box guitar making just made sense! FBF: Do you find yourself looking at items and trying to figure out how to turn them into a guitar? What is the most unusual object that you used to make a guitar? MI: I love going to garage sales and estate sales and digging through people's old workshops and through their knickknacks to find items to use as bridges and other repurposed items for guitar parts. My grandmother's silverware chest is the most sentimental item that I've ever made a guitar out of but the most unusual item is an old hubcap. I always joke that I want to take a bedpan and make a guitar out of it just to call it a "Shitar" or a "Crapocaster." Like I said though, if it ain't nailed to the damn ground, I can make a guitar out of it! FBF: What is the coolest guitar that you have made? MI: I've made so many guitars over the years that I can't pinpoint one as being the coolest… They're kinda like my children and I would never pick one over the other. Each guitar is a piece of art that is reminiscent of the feeling I was going through at that moment, but if I had to pick one, it would be the next one I make! Once I make the guitar that part of my life is gone and the unknown future is what is more exciting to me than the past! FBF: What's next for you in the band? Any plans to use Marry Dog Isbell on your next disc? MI: We have a huge summer lined up with over a dozen blues festivals and club dates connecting them. The band keeps getting better and our following keeps getting larger. We're lucky to be where we are right now, but I'd love to see our band touring in Europe and Asia. As for my dog, she's nine years old and in dog years that's almost 70. Aren't most blues musicians in their prime around then? I'm sure she just wants to hang on the couch but we will definitely try to get her back in the studio! 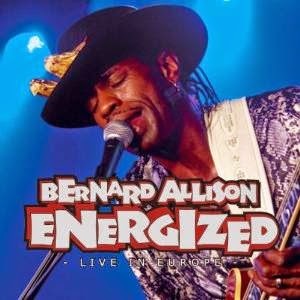 Bernard Allison grew up in a house filled with music......listening to his family's record collection and his father's (legendary blues guitarist Luther Allison) recordings, and later discovering the music of his own generation, too. 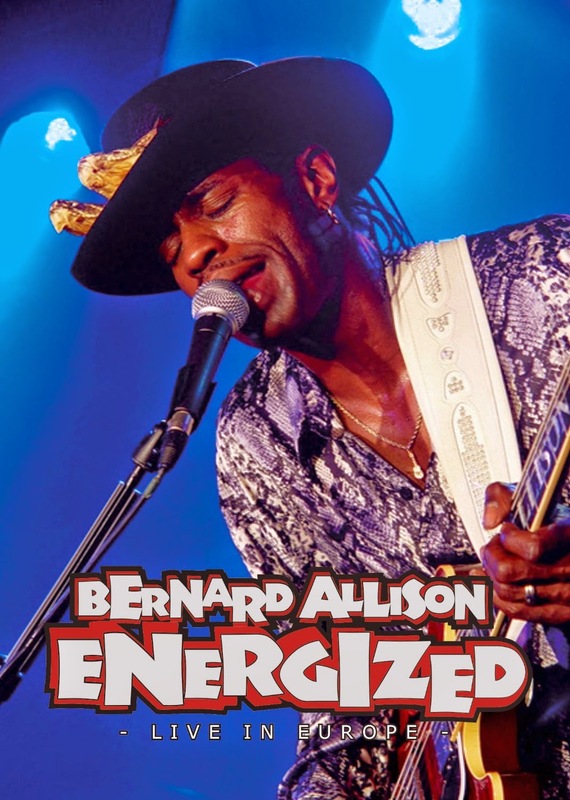 He has been active as a musician since the early 80's, beginning with a couple of appearances with his dad and enjoying a couple of stints with Koko Taylor and her Blues Machine, the first one beginning the week after he graduated from high school. He later served as his father's European band leader and under his tutelage, was able to develop his own talents as a front man and guitarist. Since the late 80's, the younger Allison has been recording and leading his own band. 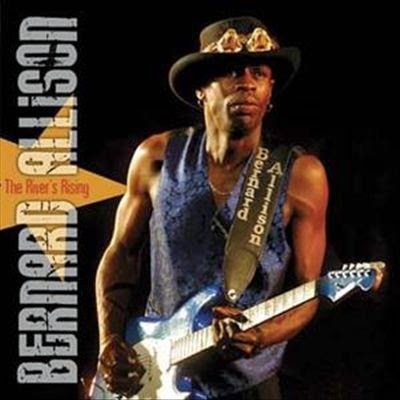 His first few albums were recorded in Europe for European labels, but he really came into his own with his first U.S. release in 1997, Keepin' the Blues Alive, on Ron Levy's Cannonball Records label. 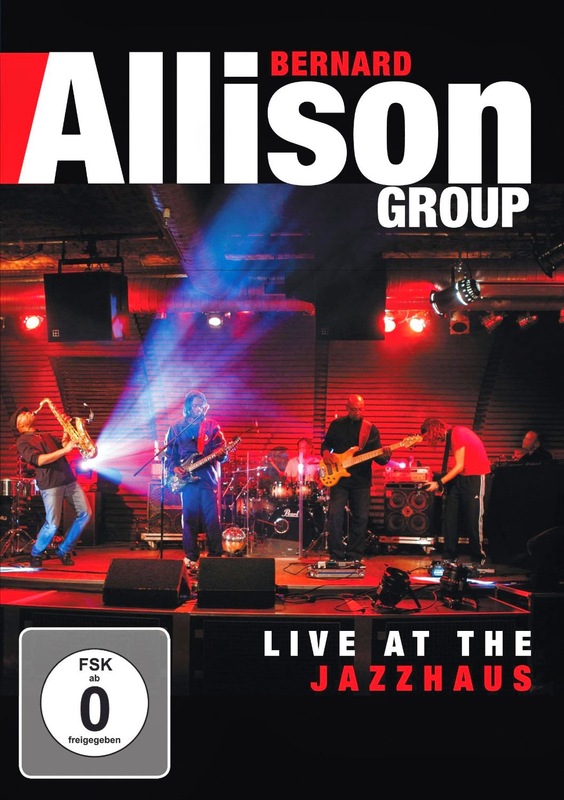 Since then, Allison has kept pretty busy performing and recording for several labels, most recently with the Jazzhaus label. His latest release, In the Mix, is his first studio release in six years and is a change of pace from his previous efforts, focusing more on songs and grooves than than the guitar fireworks this time around (although he still offers plenty of those as well). As we stated during last week's post, it's a great mix of original tunes and covers and to FBF's ears, it's his best release yet. 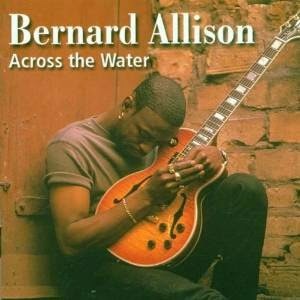 Though he has comfortably established his own position in today's Blues Scene, in many ways, Bernard Allison's career mirrors his father's. 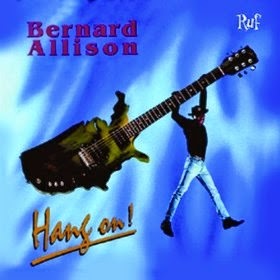 Both migrated to France to enjoy the vibrant blues scene in the European countries, Luther Allison's brand of blues dipped heavily into the rock and soul music that he listened to growing up, while Bernard Allison's brand of blues encompasses the rock, soul, R&B, and funk that he grew up listening to. 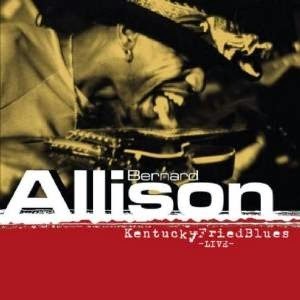 Finally, Luther Allison was and Bernard Allison is an electrifying live performer. 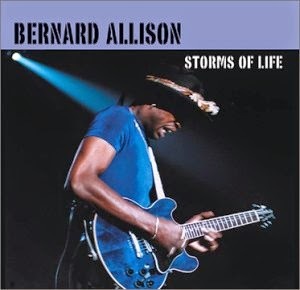 I've been lucky enough to see Bernard Allison twice, once when he was backing Koko Taylor in the late 80's and then again at the BMA's in the late 90's, shortly after his father passed away, where he and Deborah Coleman played a scorching version of "Bad Love." If you get the opportunity to see him, you must do so. While you're waiting, check out In the Mix, then track down his earlier CDs and DVDs to see what all the fuss is all about. You can thank me later. Friday Blues Fix thanks Bernard for taking time out from his busy schedule to stop by and answer Ten Questions (give or take) for us. We hope you enjoy. Friday Blues Fix: I know you’ve probably been asked this a million times, but what was it like growing up in Chicago with a blues guitarist father? 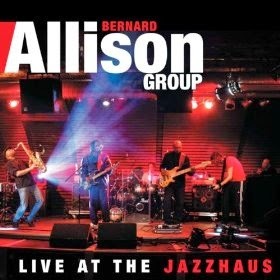 Bernard Allison: I was born in Chicago but did most of my growing up between Peoria, Illinois & Miami, Florida. Lots of music in our household, all styles, so that's what I always refer to when preparing new recordings. FBF: When did you decide that you wanted to be a musician? Was guitar your first instrument? 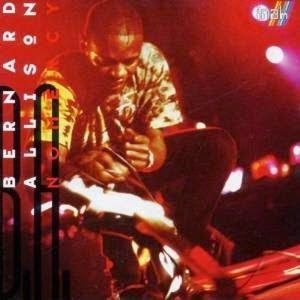 BA: I was 10 years old when I started messing around with my older brother’s guitar and just figured it out while playing along with my dad’s recordings. 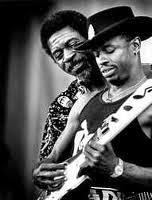 FBF: What blues artists did you like to listen to? What other styles of music did you listen to and which artists? BA: As far as blues, Albert and Freddie King, Tyrone Davis, Magic Sam, Muddy Waters, Koko Taylor, Hound Dog Taylor. Other than blues, lots of styles, the Isley Brothers, Parliament, Cameo, Jackson 5, AC/DC, Chuck Berry, etc…. FBF: Did your dad try to steer you in one direction or the other as a musician, or did he want you to try and do something else? BA: He just wanted me to finish high school and then it was my own decision, as far as what I wanted to do after. FBF: Besides your dad, who are your biggest influences as a guitarist? 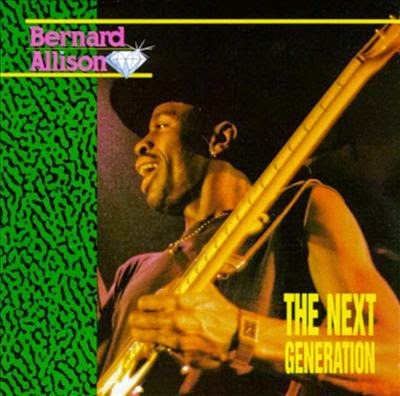 BA: Albert King and Freddie King would be my picks prior to the next generation of players. FBF: How important was coming up through the ranks (playing with Koko Taylor, Willie Dixon, etc…) in helping to develop your musical career? BA: Koko and her husband Pops Taylor taught me the rules of the road as well as learning how to play beside a vocalist; I credit them both for my sense of rhythm. FBF: What’s the best piece of advice you received from anyone when you were starting out? BA: Listen to all styles of music and try and find yourself within and play what your heart feels, as opposed to copying someone else’s feel. FBF: In the Mix is your first studio album in six years and it’s different from your previous efforts with more of a soul/R&B influence….did you intend to go in a different direction from the beginning or did the changes take place as it progressed? BA: I’ve always had it in me, just never had the chance to record it. 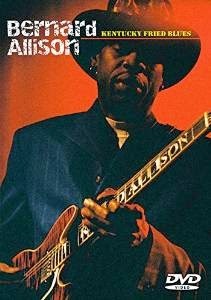 It's basically what I listened to growing up on a daily basis as well, as names like Tyrone Davis, Freddie King, Koko Taylor were longtime friends of the Allison family. FBF: Can you tell us about some of the original songs on In the Mix? Some of the songs have a personal touch, like the one you wrote with your mother (“Call Me Momma”). BA: My Momma really knows music….all styles. 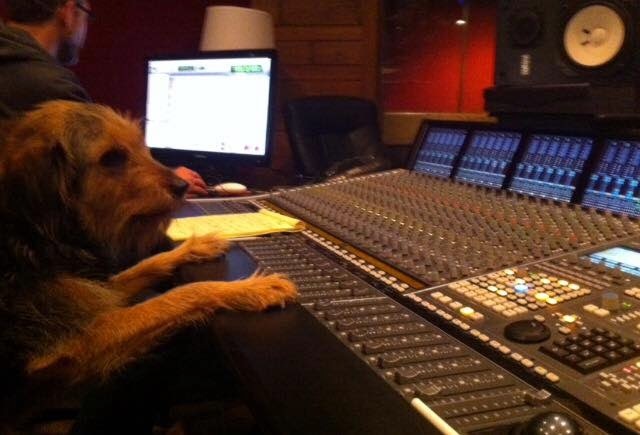 She has helped me with lyrics on other recordings as well as my dad’s early recordings. I just wanted to tell the story about who you can call for positive advice without being sugar coated. That's my Momma 100%. FBF: How did you decide on the cover tunes on In the Mix (Colin James’ “Five Long Years,” Tyrone Davis’ “I Had It All The Time,” Freddie King’s “I’d Rather Be Blind,” two from your father, (including “Move From The Hood”)? I know you usually include one or two of your dad’s songs on your albums, and I really like how you always add your own personal touch to those songs. I enjoyed your take on “Moving On Up” on this disc. BA: Well, Colin James and I go back many years and were just recently reunited on the Blues Cruise, Colin is an amazing writer, guitarist, and singer I love his mix of different genres. Tyrone Davis, like I mentioned, was very close to my family, actually growing up with my mom. 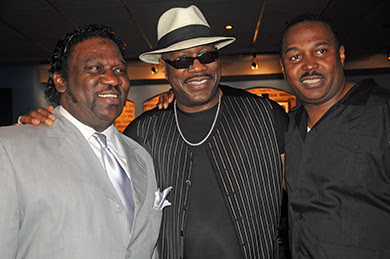 I was on the blues cruise with Tyrone shortly before his passing. We had talked about recording together for my upcoming CD, Chills & Thrills but due to his passing, that wasn't possible. So instead I wrote the song “Missing Tyrone,” which I wrote mostly for his wife Ann. Basically singing to her that he wants her to hold her head up high and keep on living life and that he is with her every day. Freddie King was always a favorite and I've always wanted to record “I’d Rather be Blind,” but first I needed to become a bit more stronger vocally as well as come up with a different feel to his original version. My dad’s songs that I select to record always goes through my momma, also I normally go back to my dad’s very early recordings for reference. Yes, “Moving On Up” is one of my favorite songs, sits really well on this CD. FBF: You’ve lived in France for a number of years and record for European labels. 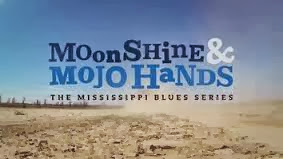 What in your opinion is the difference between the blues scene (fan base, gigs, pay, etc….) in the U.S. and the rest of the world? What could be done in the U.S. to make things better? 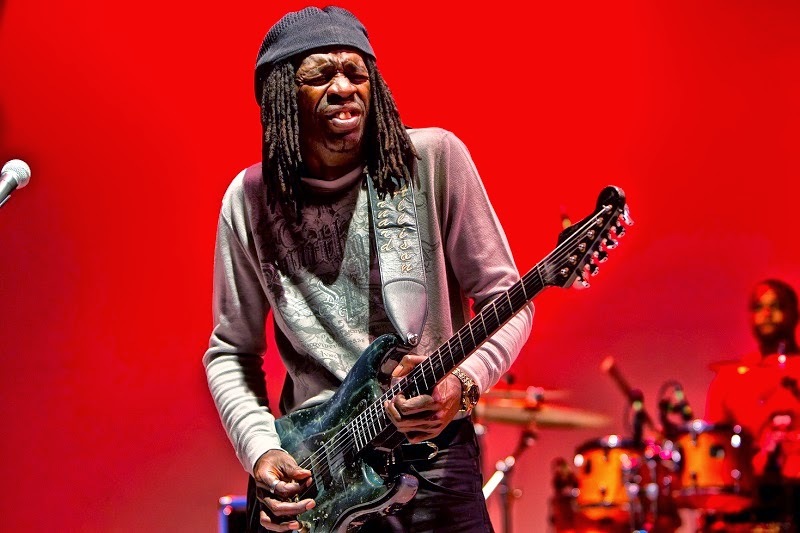 BA: Yes, just like my dad, Europe just welcomed us both with open arms and allowed us to show our musical influences as opposed to putting a label on us…..as well as they real promote blues related music differently, especially with the younger age bracket. Lots of blues in the schools there, as well…..concerts that kids can attend. Here in the states, when it comes to the kids we basically have to wait for festivals so they can attend. We have some blues in the schools here in the states….I think it could be more of it. Also, media as far as radio, TV…..how they promote is a very different approach where I find it a bit limiting here in the states. Late night blues radio stations, lack of TV promotion…..we have mostly blue magazines and blues societies that keep things rolling and now more and more internet blues supporters bringing it to the public. This week, Friday Blues Fix takes a brief look at some new and upcoming releases that could be finding their way into your collection in the coming weeks. There are so many great new albums over the past couple of months that we will have to split up our mini-reviews over a few different posts, which is a nice problem for blues fans to have, so don't forget to check back in the coming weeks to see what else is new in the blues recording world. 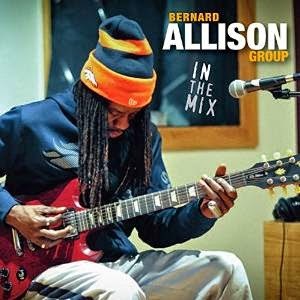 Bernard Allison Group - In The Mix (Jazzhaus Records): It's been six years since Allison's last studio release and his new effort backs off a bit from the usual screaming guitars to focus more on the songs and grooves. 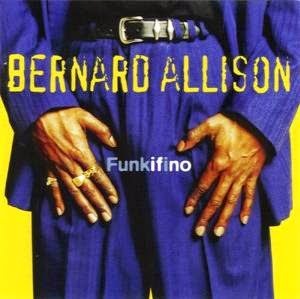 Funk and soul have always been a part of his music, but this time around those styles are even more emphasized. That doesn't mean the guitar is in the background by any means.....Allison pulls out some impressive slide guitar on several tracks (he acknowledges Johnny Winter for teaching him his slide technique) and he still unleashes some powerhouse solos.....it's just that on this album, he sort of comfortably sits back and takes his time and lets the songs flesh out. The track list is evenly split between originals and covers, including a couple of his dad's tunes. It's always interesting to hear his re-interpretations of his dad's music.....he always brings something fresh to those tunes. There are also covers of songs by Colin James, Tyrone Davis, and Freddie King. 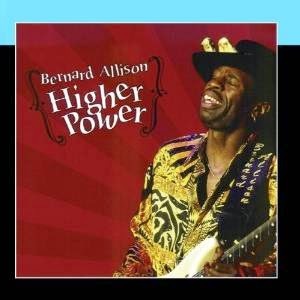 His own songs are strong as well, including a nice track co-written by his mother, and also a swamp blues-styled tune co-written by Allison and Lonnie Baker Brooks. 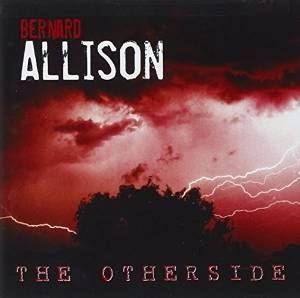 This is Bernard Allison's best release to date, no question, and is one of FBF's favorites of 2015 so far. 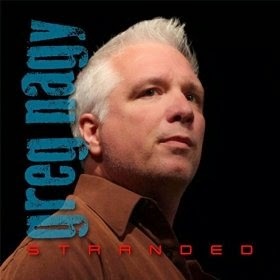 Greg Nagy - Stranded (Big O Records): Nagy, who used to be with the Midwestern blues/soul band Root Doctor, saw his long marriage come to an end during the recording of this album. From those unfortunate events came what is definitely his most personal release and certainly one of his best. His performances on these ten tracks, both vocally and on guitar, are absolutely spellbinding. The music focuses mainly on the Blues and Soul side of things, but there's also several tracks that mix Pop and R&B. Nagy is joined by his former Root Doctor band mate Jim Alfredson, who plays keyboards and also co-produced and co-wrote several of the songs with Nagy, and Zach Zunis also guests on guitar. Nine of the ten tracks are originals (one is written by Kevin McKendree), and the lone cover is a good one.....the Bobby Blue Bland classic "Ain't No Love In The Heart Of The City." Nagy really outdoes himself on this CD, with some great vocals and songs that will thrill blues fans and soul fans alike. 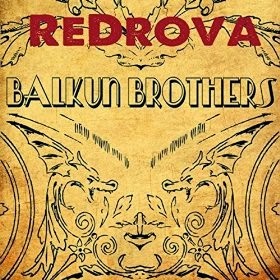 Balkun Brothers - ReDrova: This Connecticut-based trio has already made a lot of noise despite having been around for only about five years. They made the semi-finals three consecutive years at the IBC, making the finals in 2013. They've finally gotten around to making a full length album with ReDrova, which is a fiery and relentless set of Blues Rock that mixes traditional blues with modern rock and the way that they do it is pretty impressive. Guitarist/singer Steve Balkun is a wizard on whatever stringed instrument he picks up. 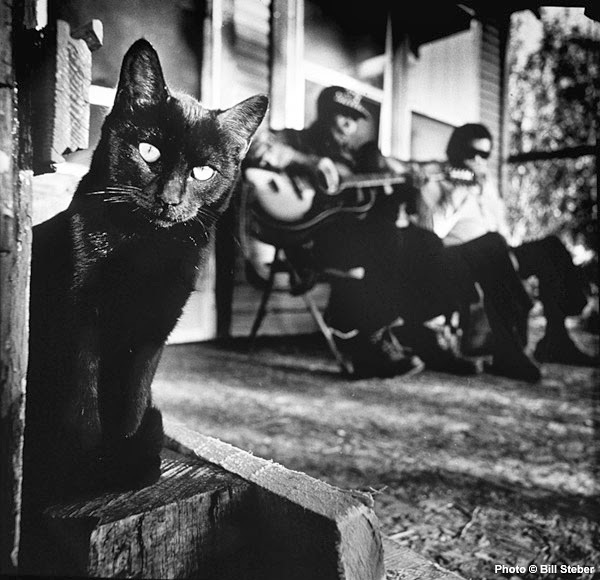 These twelve tracks are all original and they venture into Blues Rock, Southern Rock, Traditional Blues, Urban Blues, and even Hill Country Blues. Their versatility lifts ReDrova well beyond your standard Blues Rock fare and will suit any Blues fan just fine. Don't let this one pass you by. You can thank me later. D. A. Foster - The Real Thing (Shaboo/VizzTone): Foster owned the legendary Connecticut roadhouse, The Shaboo Inn, in the 70's and early 80's, where he booked numerous Rock and Blues acts. 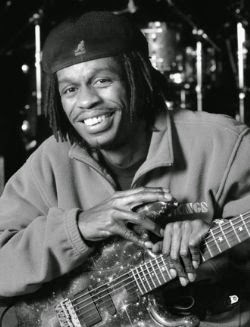 A natural talent as a vocalist, he received pointers from many of the performers and eventually formed his own band, the Shaboo Allstars, which included Matt "Guitar" Murphy in its ranks at one time. 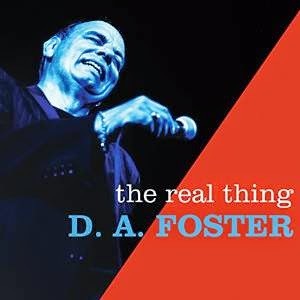 Though Foster has been performing for years, The Real Thing is his debut recording and he is backed by members of the Phantom Blues Band (members Tony Braunagel and Mike Finnigan produced the disc) on a dozen soul and blues cover tunes. 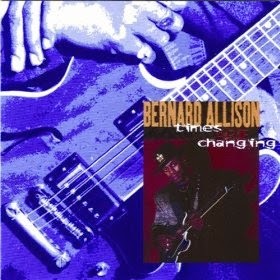 They move from older tunes from the Duke/Peacock catalog and standards like "Down Home Blues" and Brook Benton's "Lie To Me" to newer or less familiar fare from artists like Jerry Lynn Williams, Eddie Hinton, and Dave Steen. It sounds like Foster and the band had a blast making this record and the feeling is contagious when you listen. 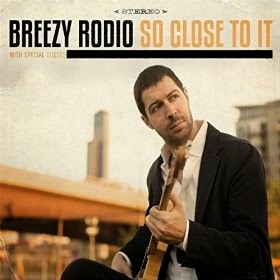 Breezy Rodio - So Close To It (Windchill Records): Former New York resident Rodio relocated to Chicago several years ago, where he met up with Guy King, who mentored the young guitarist, before connecting with Linsey Alexander and appearing on The Hoochie Man's last two CDs for Delmark (Been There Done That and Come Back Baby). 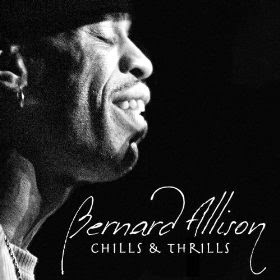 He's also released a couple of solo efforts, a Blues disc that featured Alexander and Lurrie Bell and a Reggae disc featuring Donald Kinsey. So Close To It finds Rodio focusing on the blues with some outstanding originals and well-chosen covers. He really shines on several tunes associated with B.B. 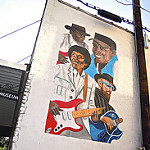 King, T-Bone Walker, Ray Charles, and even Elvis Presley. The original tunes are equally inspired and effective. 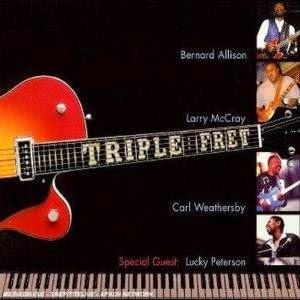 Lurrie Bell returns on this disc, singing and playing guitar on one tune. 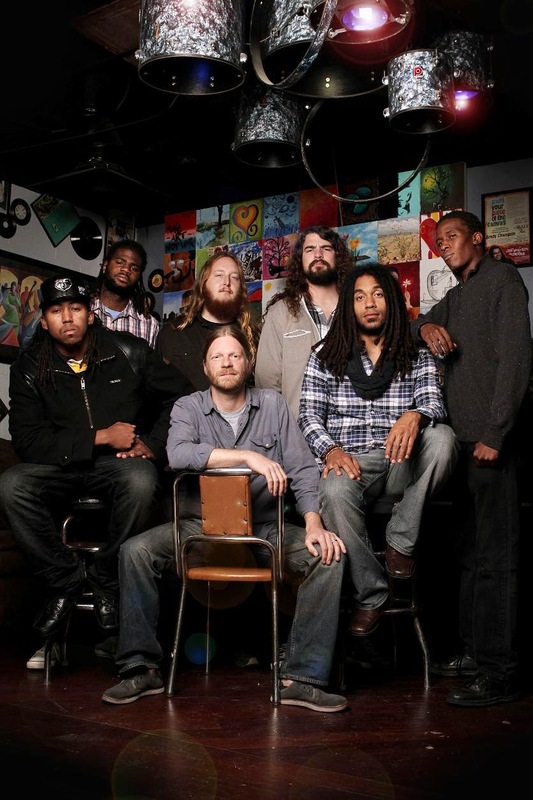 Other guest stars include Billy Branch, Carl Weathersby, keyboardist Chris Foreman, and singer Joe Barr. Breezy Rodio may be Chicago Blues' best-kept secret for now, but that should change if Blues fans get to hear this release. That's all for now, but don't worry, Gentle Readers.....Friday Blues Fix will be looking at more new releases in the coming weeks, so stay tuned. 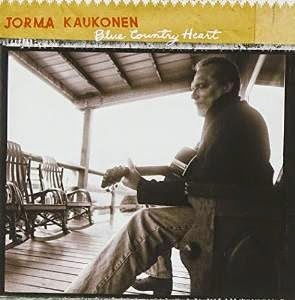 Jorma Kaukonen has seen and been involved in a lot of musical history over his fifty-plus year career. 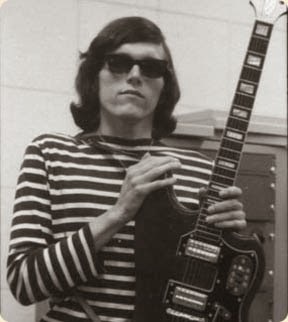 He was a founding member of two legendary bands of the 60's: the pioneering psychedelic rock band Jefferson Airplane and the blues rock band Hot Tuna. Though he's best known for his work with those two bands, he has also enjoyed a solo career since the mid 70's, combining rock, blues, roots and Americana. 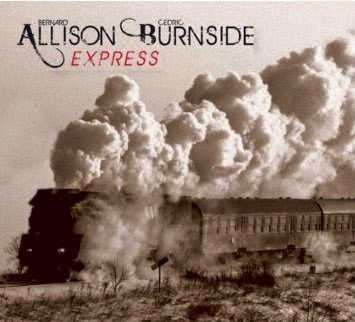 His most recent release is Ain't In No Hurry on Red House Records, and this lovely, and appropriately titled, album should be required listening for fans of fingerstyle guitar and blues and roots music. 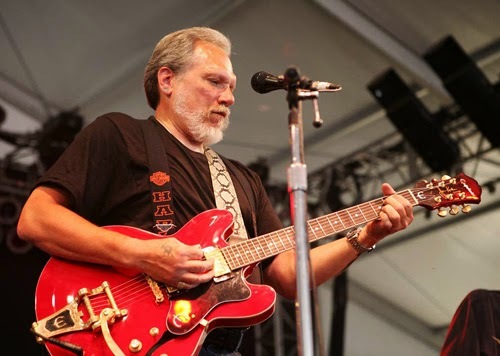 Kaukonen is also one of the foremost practitioners and teachers of fingerstyle guitar, owning and operating the Fur Peace Ranch, located in Meigs County, Ohio, which hosts weekend music and guitar workshops and also houses a 32 track studio. 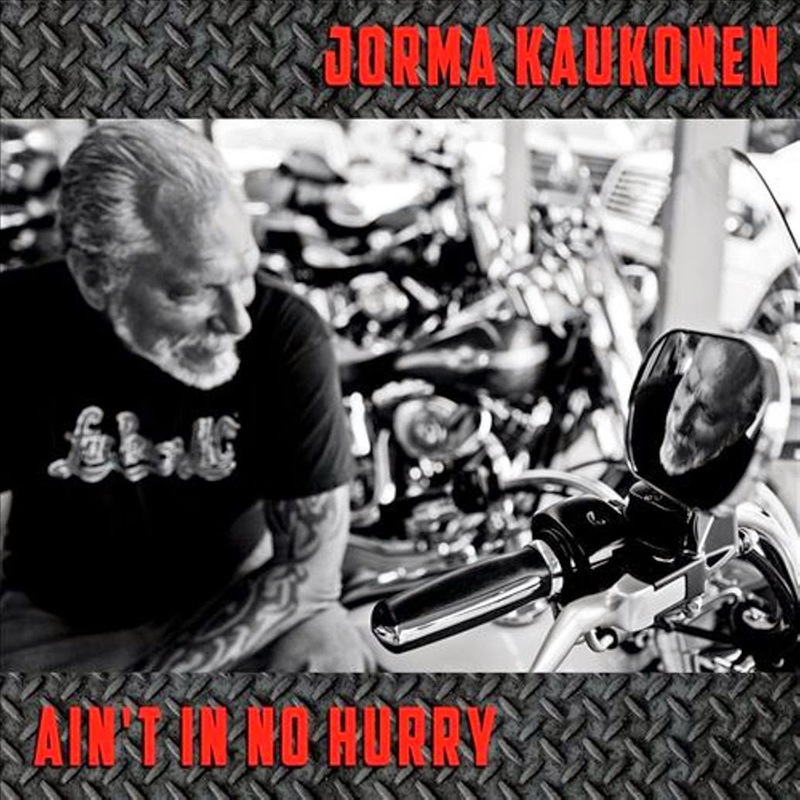 In addition to his solo career, he still performs with Hot Tuna, along with his longtime musical partners Jack Casady and Barry Mitterhoff, who both perform on Ain't In No Hurry. 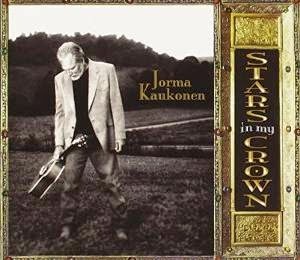 Mitterhoff's mandolin is featured prominently on the disc. 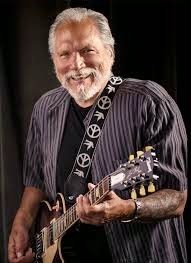 Mr. Kaukonen graciously agreed to sit down for Ten Questions. We definitely appreciate him taking the time to do so. 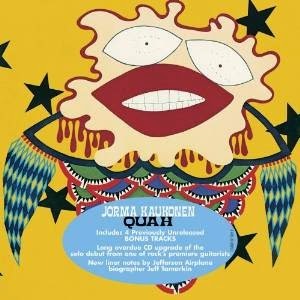 If you're familiar with his guitar work with Jefferson Airplane and Hot Tuna, you will definitely enjoy his solo work. Friday Blues Fix: How old were you when started playing guitar? FBF: What drew you to it? JK: I had been out of the country for three years. My Dad was stationed in Pakistan 1952 to 1955. When I got back Stateside, my best friend at home, Mike Oliveri, had been playing for a couple of years. I thought it was the coolest thing I had ever seen or heard… He started to teach me. JK: I’m not sure I wanted to be a ‘musician.’ I definitely wanted to play music. FBF: What kind of music did you listen to when you were growing up? FBF: How has the blues shaped your musical vision over the years? JK: It has certainly given me a rock solid foundation that has served me well over the years. FBF: How did you end up in San Francisco? 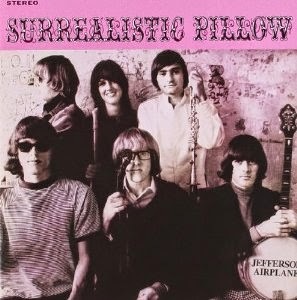 Can you describe the music scene there in the 60’s? 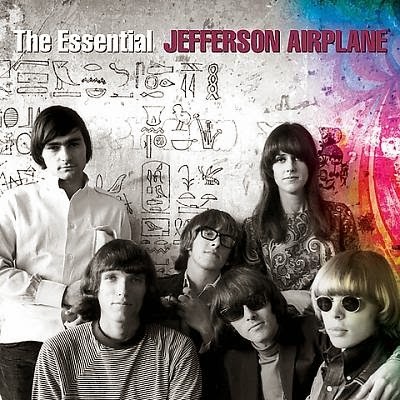 FBF: How did Jefferson Airplane come to be? 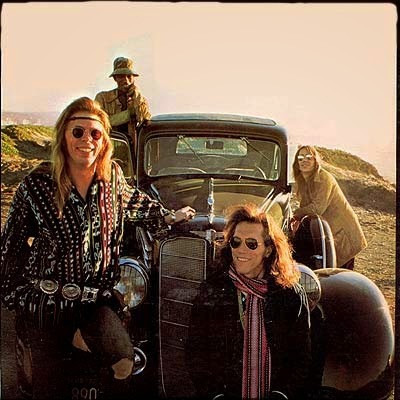 JK: Paul Kantner had moved from San Jose (where I was living at the time) to San Francisco. 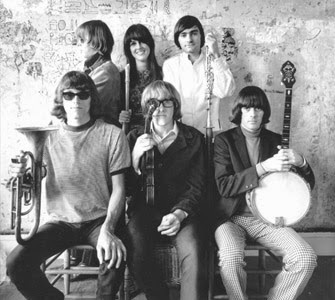 He connected with Marty Balin and started to form the band that would become Jefferson Airplane. 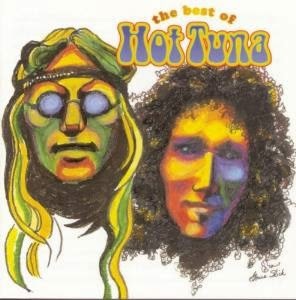 FBF: What led you and Jack Casady to branch off into Hot Tuna? JK: For us… it was time to return to our roots. FBF: You were a part of three of the major 1960’s rock festivals (Monterey in 1967, Woodstock in 1969, Altamont in 1969) and two legendary bands of that time…..did it register at the time that you were a part of so much music history? Can you describe how all of this registered with you then and in retrospect? JK: It is difficult to perceive your place in the universe… while the action is going on. Looking back… those would seem to be iconic times. While it was going on, it was just the way it was. 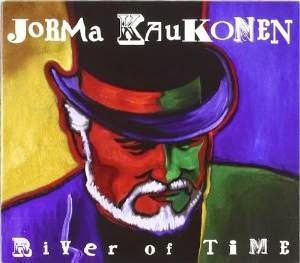 FBF: You’ve recorded many solo albums since the 70’s, and your latest, Ain’t In No Hurry, mixes blues, roots, and Americana. Is there anything musically that you want to do that you haven’t done already? JK: I like the path I find myself on today… it’s just who I am. Of course one never knows what’s going to happen in the future… but today I find myself very comfortable in this idiom. FBF: Can you tell us about how you chose some of the songs on Ain’t In No Hurry? JK: I just started to collect old songs as well as write some new ones… For Larry Campbell and I to be able to ‘co-write’ a song with the legendary Woody Guthrie was beyond my wildest dreams. Once I had enough songs to fill the album… I quit looking. FBF: What inspires you in your own songwriting? What are some of your own favorites among your own songs? FBF: Who are your influences as a guitarist and songwriter? Are there any current artists that you listen to in any genre? JK: Whatever sounds and metaphors that are lurking in my brain at any given time. Recently I have been listening to Joe Purdy and Karine Polwart.